In the UK, advertising creatives tend to work in teams, made up of an art director and a copywriter. For the most part the two jobs are the same, it’s about coming up with great ideas, but, as you’ve no doubt figured out, when it comes to crafting the words that’s the job of the copywriter. The art director’s job is to make the piece look fantastic. Often they will have met on one of the many advertising courses available. A great introduction to how adverts work. A fun and informative history lesson on the golden era of advertising. 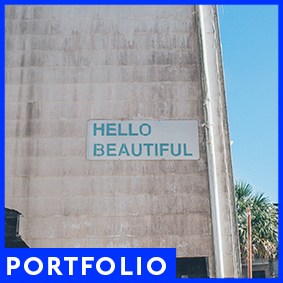 What does a creative portfolio look like? Take a look at how the pros did it, before they were pros. Interviews, insights and a sensational visual archive from a legendary art director. The Watford course is a one year intensive post-graduate for creatives. Podcasts and ad discussions updated regularly. What can I expect to earn as an art director? And how much can I actually earn as a copywriter? 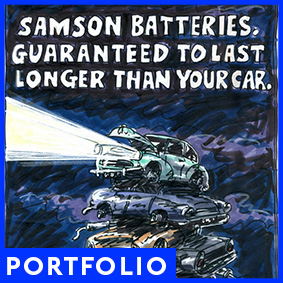 Find a creative partner, by exploring a wealth of portfolios. A brilliant guide to creative thinking.